Are you finding it hard to decide on one of the destination wedding packages for your wedding in Phuket ? Maybe you prefer certain elements in one package, but would like to combine elements within another package! That's okay as all the wedding packages on our site can be personally tailored to suit your requirements. If you would like to tailor your own package we highly recommend that you contact our preferred wedding planner in Phuket as she understands that every wedding is unique and every couple prefers a wedding ceremony personalised specifically for them. The wedding packages that are currently available on our website show an outline of what can be organised for your special day, however they can also be tailored to incorporate your own taste, style and ideas, ensuring your wedding day is all that you have dreamed of. If you prefer to tailor your own wedding package, below are a few ideas that you may like to talk to the wedding planner about. If choosing the colour and style of flower is important to you, the wedding planner we recommend is also a qualified florist. She will ensure that all your floral designs are fresh and unique for your special day while allowing you to choose the colour and style of flower you prefer. 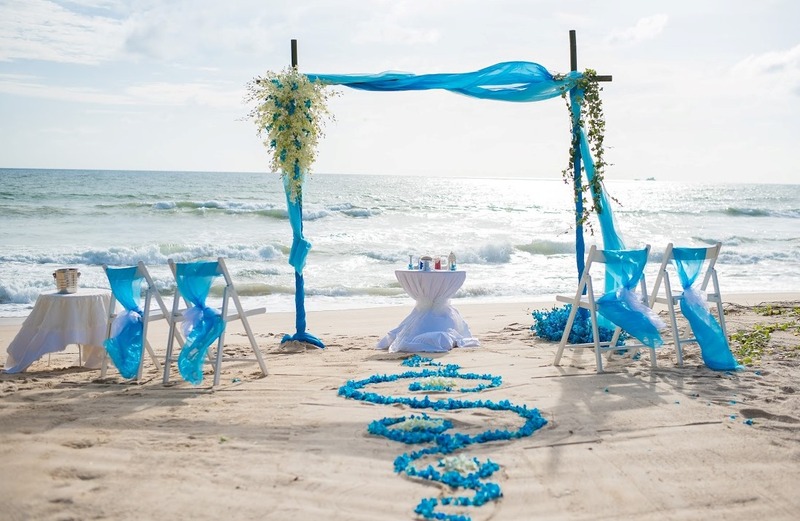 Beach weddings are very popular, however there is a range of other beautiful venues available for your wedding in Phuket, including Beach Clubs and intimate Villa weddings. 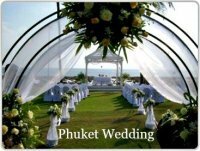 The wedding planner will be happy to assist you in finding the best venue for your wedding in Phuket. Depending on your choice of venue, dining options can be tailored to suit your personal tastes and budgets, including Canapés, sit down meals or Thai and Western Style Buffets. The wedding packages that are shown on our website are not official, however if you do require a legal ceremony the wedding planner will be able to assist in providing you with all the information to ensure your marriage is legal. For the ultimate in romance you may like to talk to the wedding planner about incorporating some of the wedding ideas below. If you would like more information about any of the destination wedding Packages in Phuket or information about tailoring your own wedding package, please complete the following contact form. By completing this contact form your details and any questions you may have will be referred onto our preferred wedding planner in Phuket.